Two soldiers pose in front of Camp Greene Mess Hall. 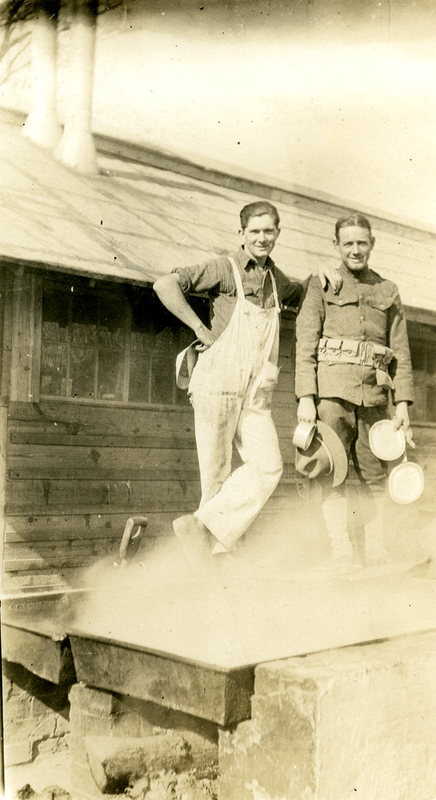 Two soldiers standing outside one of Camp Greene's Mess Halls. Camp Greene was an Army cantonment camp to train soldiers during World War I. This photograph was taken on November 20, 1917. Mess Halls. Camp Greene was an Army cantonment camp to train soldiers during World War I. This photograph was taken on November 20, 1917.